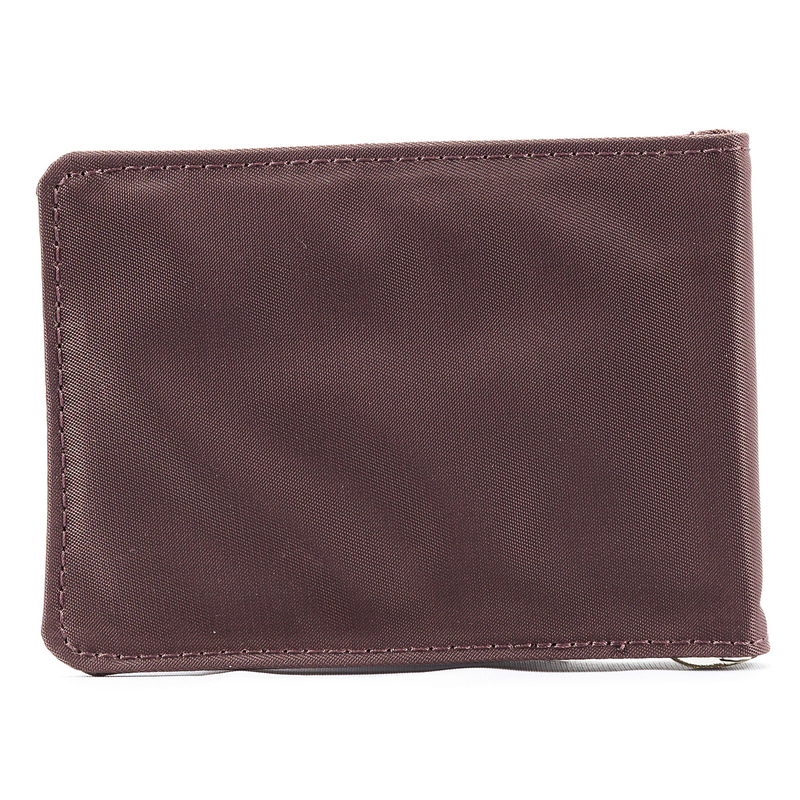 Suspend your cash in the middle of this thin bi-fold wallet. 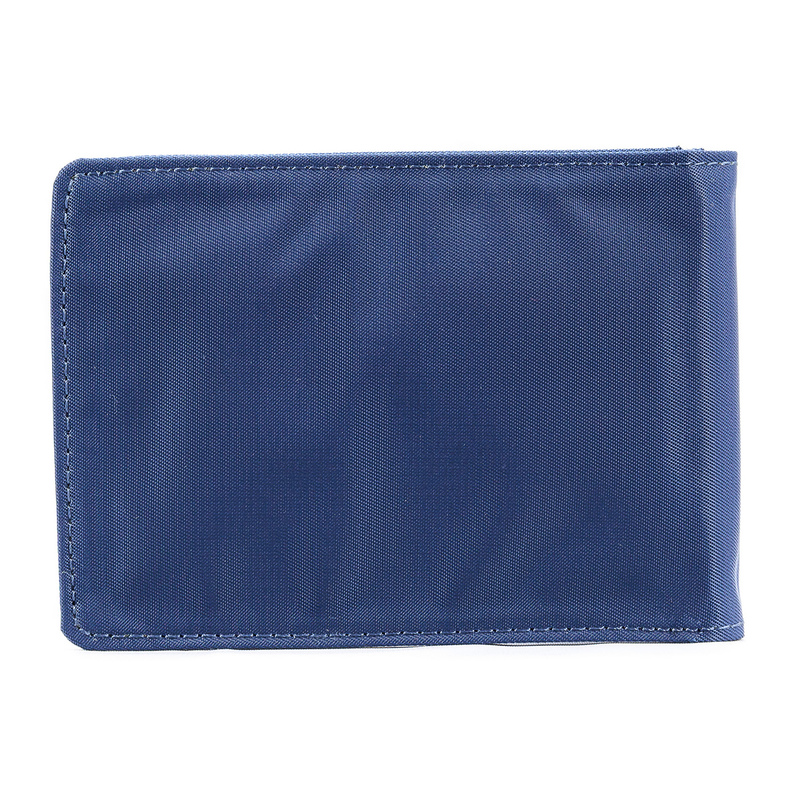 Yup, we got rid of the billfold area in our efforts to maintain thinness so now your cash is clipped inside the middle of the bi-fold wallet area. 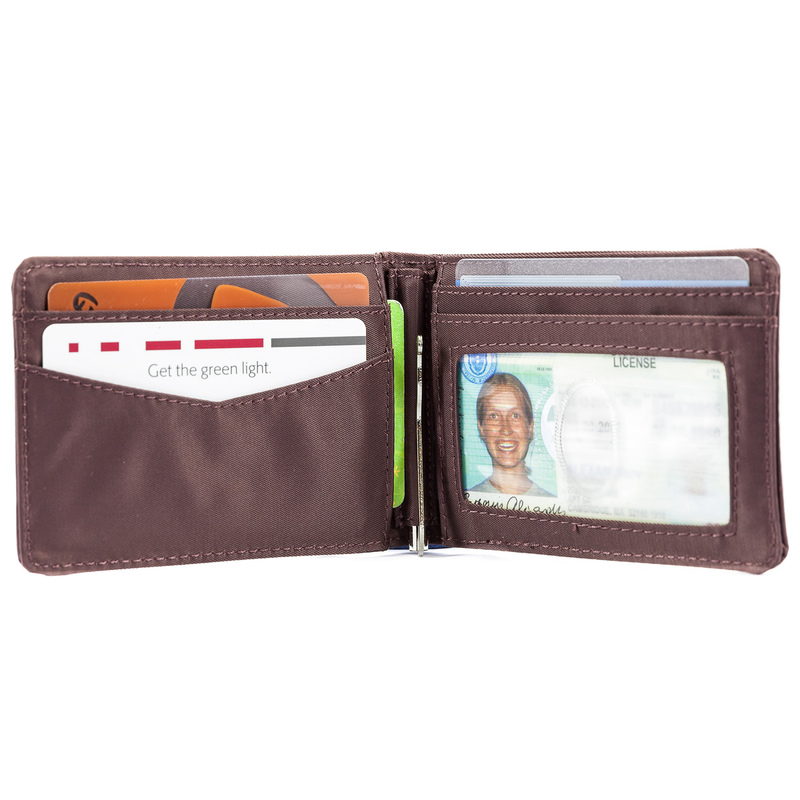 Multiple card slots for plastic and you have one of the smallest imprint sized bi-fold wallets in the world--barely the outline of the cash. 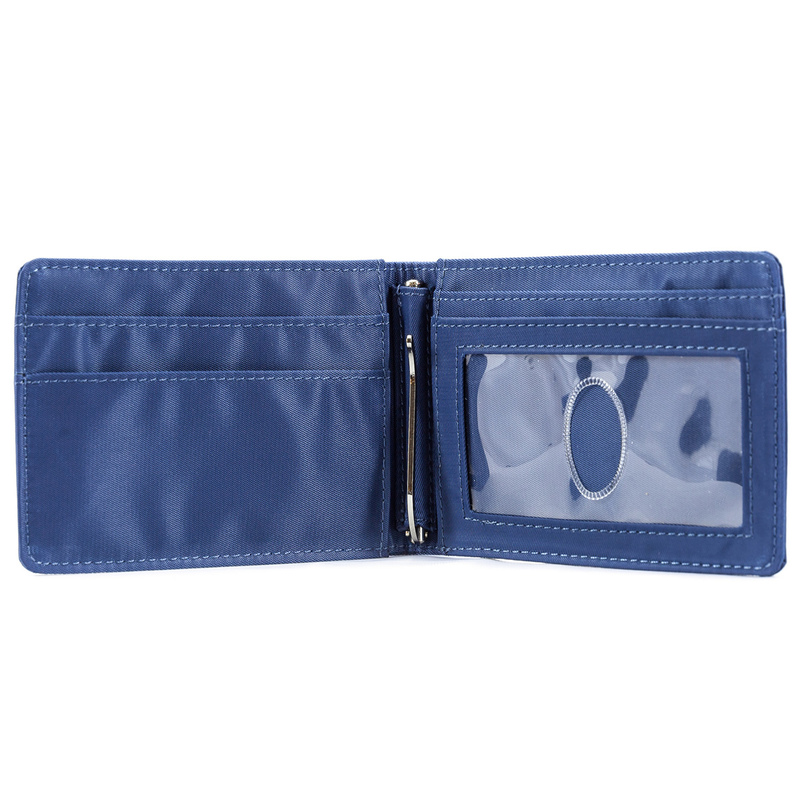 Holds 20 plastic cards and you can fit this thin compact bi-fold wallet in any small pocket you desire--shirt, front or back pants pocket, suit pockets or under your hat. It's only 1/4" thin on the spring end and 1/8" on the thinner outside side when empty. Pull the middle metal spring area out and machine wash the rest of it just for kicks on a Sunday afternoon. 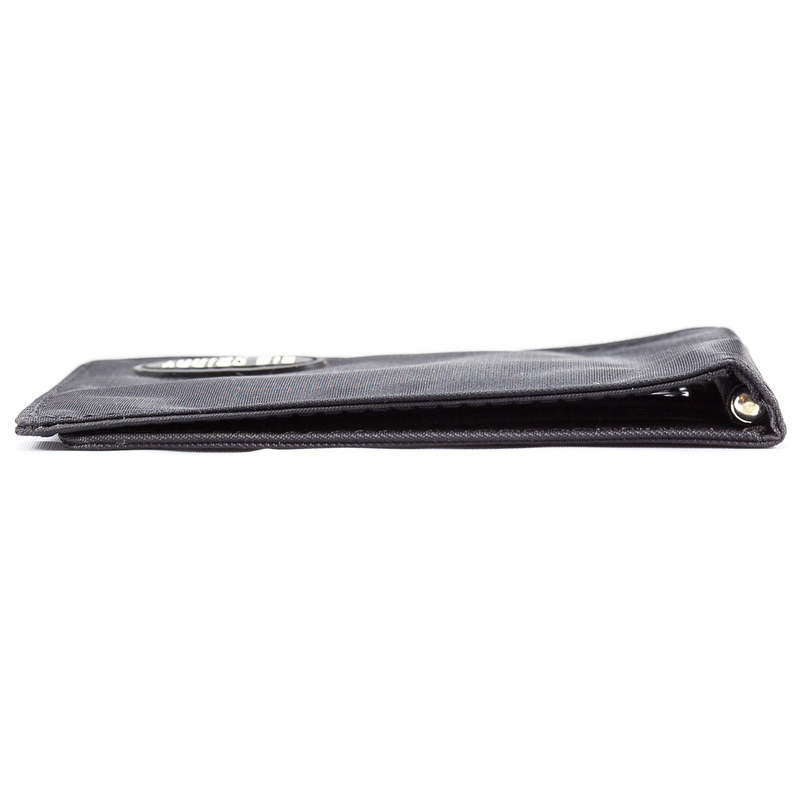 All money clips of this type, regardless of manufacturer, are made of a few parts. If you slide the clip out of its nylon sheath you most likely will notice that the bottom 1/3 of the clip is loose. Tighten it up periodically (I liken this to when someones glasses get loose and one needs to give the two screws on either side a quick tighten) to keep the tension. But DO NOT unscrew the clip unless you are in a place where you cannot lose the two internal parts which are a small spring on top of a small ball bearing!! 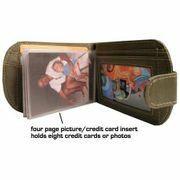 With this information your Acrobat Money Clip Wallet should last you a very long time!!! only ⅛" (4 mm) thin when empty! 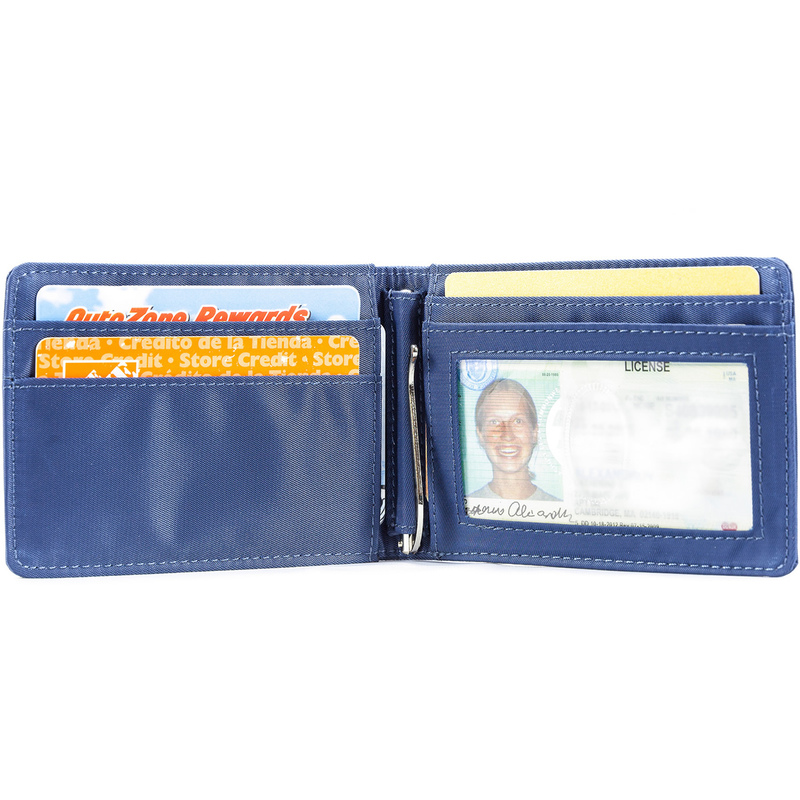 This wallet is great! 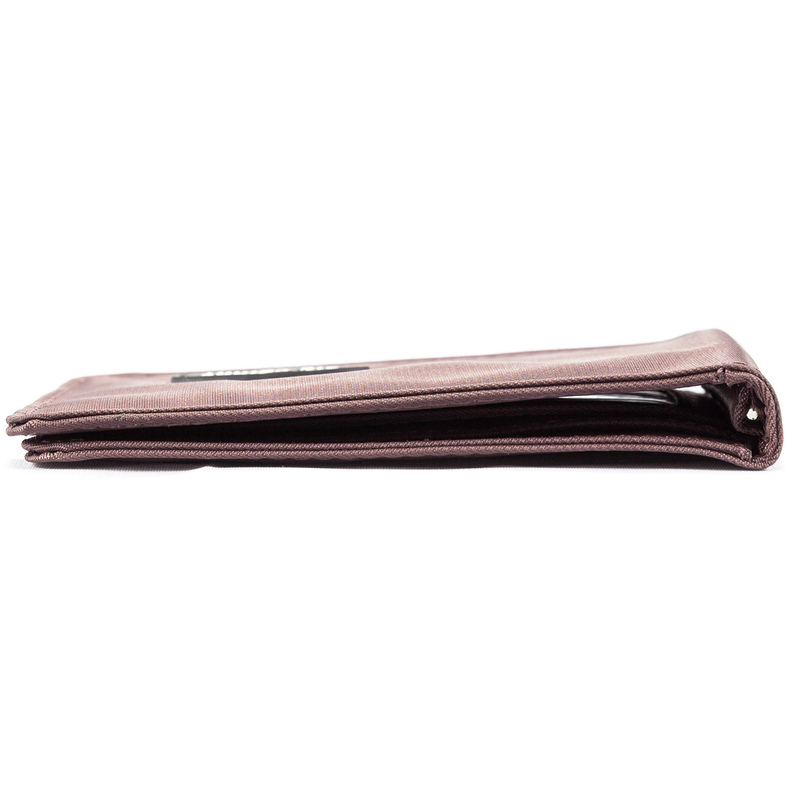 It is so light but durable. Everyone there was extremly friendly, helpful and informative. Third on in twelve years , use it every day, best thing that every hit the market !!!!!!! 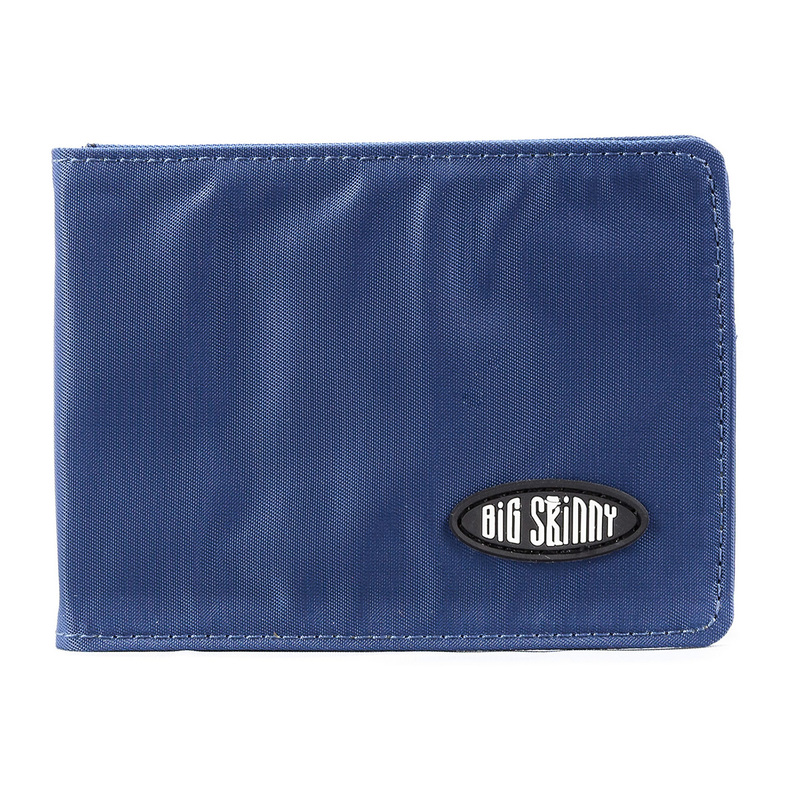 I will always own a Big Skinny, no other wallet can match it! ProsToo many to mention, lol! ConsNot a one to be found . 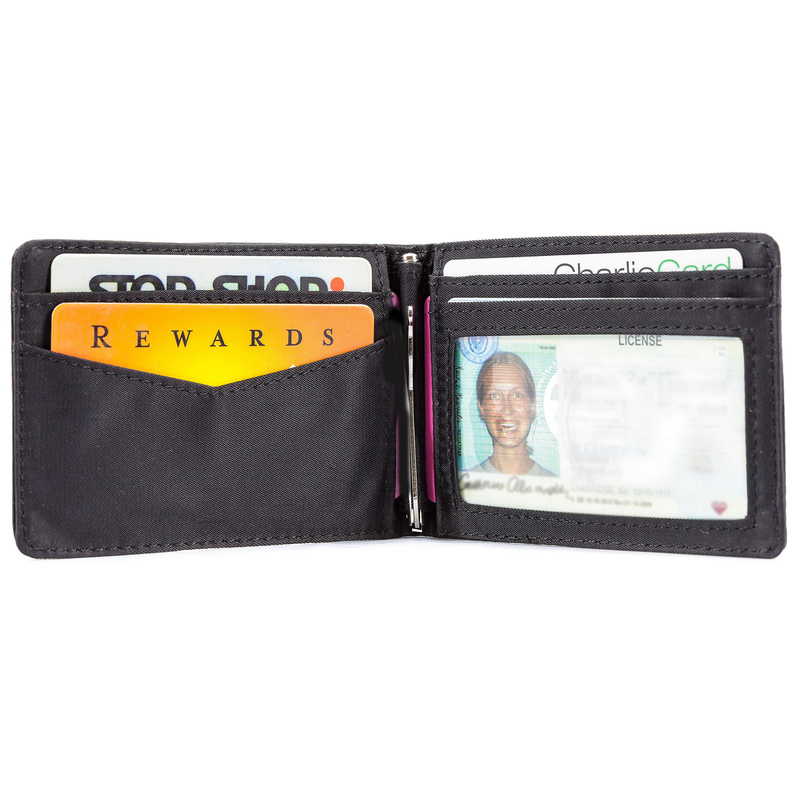 Great wallet this is my third one! 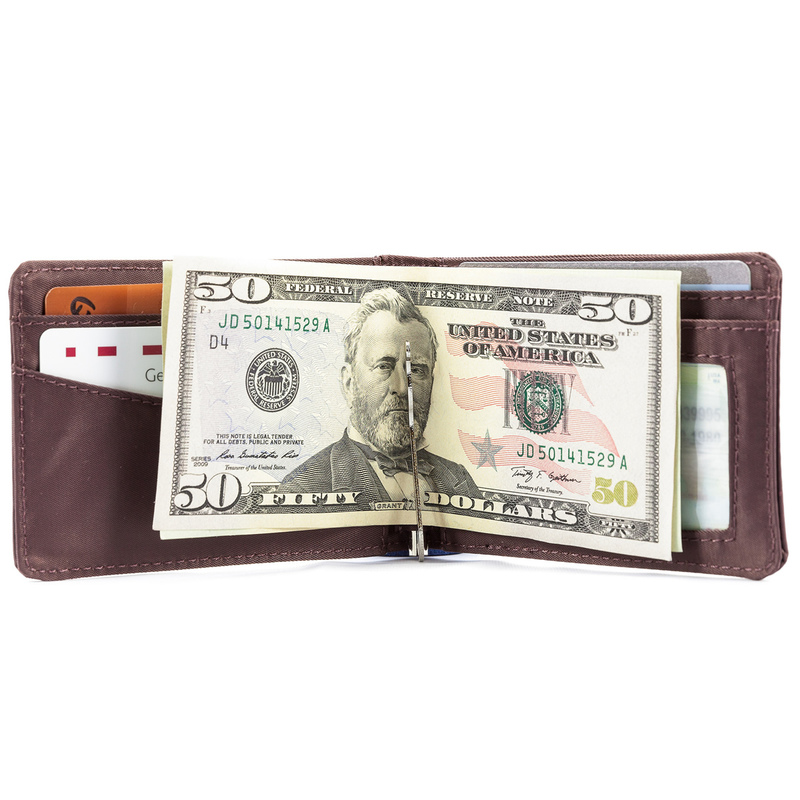 I have ordered this wallet for all the men in the family. 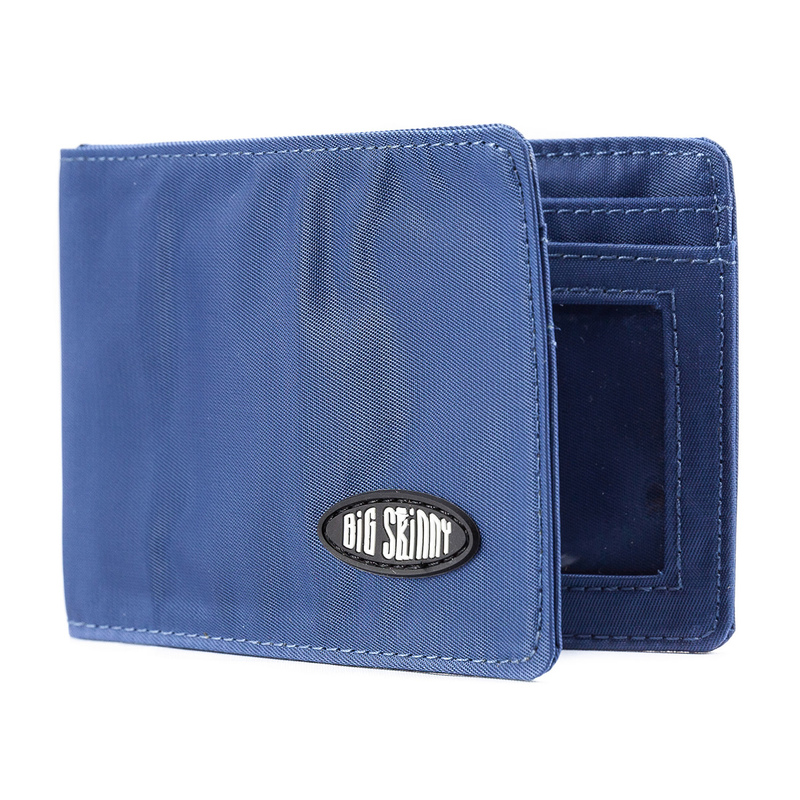 Everyone of them love the Big skinny wallet. 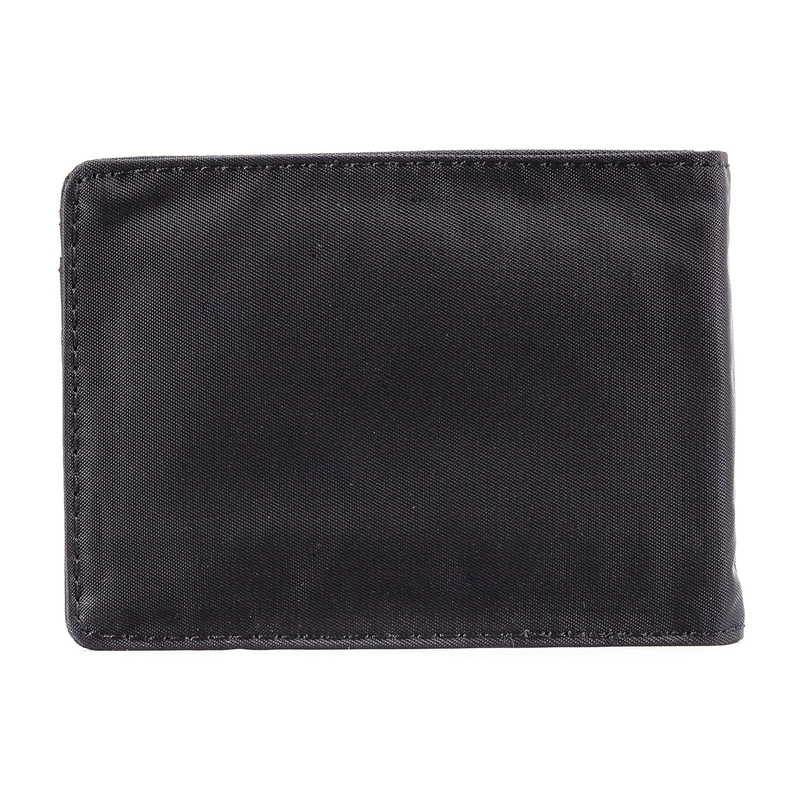 They are the perfect size for your front pocket. 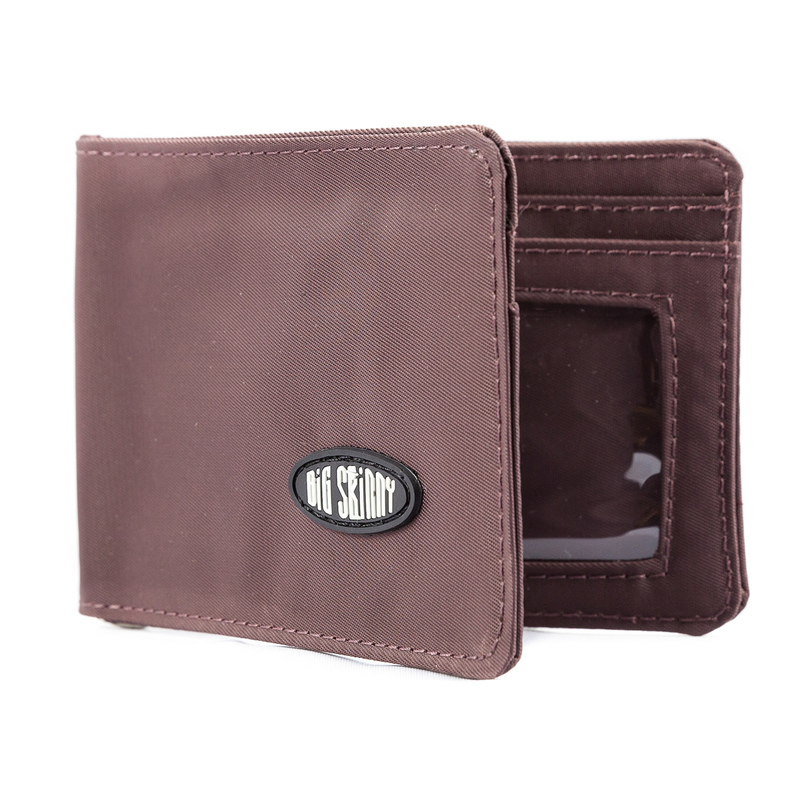 ProsSkinny for front pocket, holds large amount of cash, and just enough credit cards. More colors would be nice. It is bigger than I thought I would be. Cards don't stay in it as good as my old one. It is nice a well made. Just wish I would have gotten my old one again. I had the green little one. It folds over once and has two clear pockets on the inside of it. That one is small and great and wonderful. That one will be the next one that I purchase. Like I said the one that I have is great. It's just not my old one. ProsWell made. Nice, just bulky. 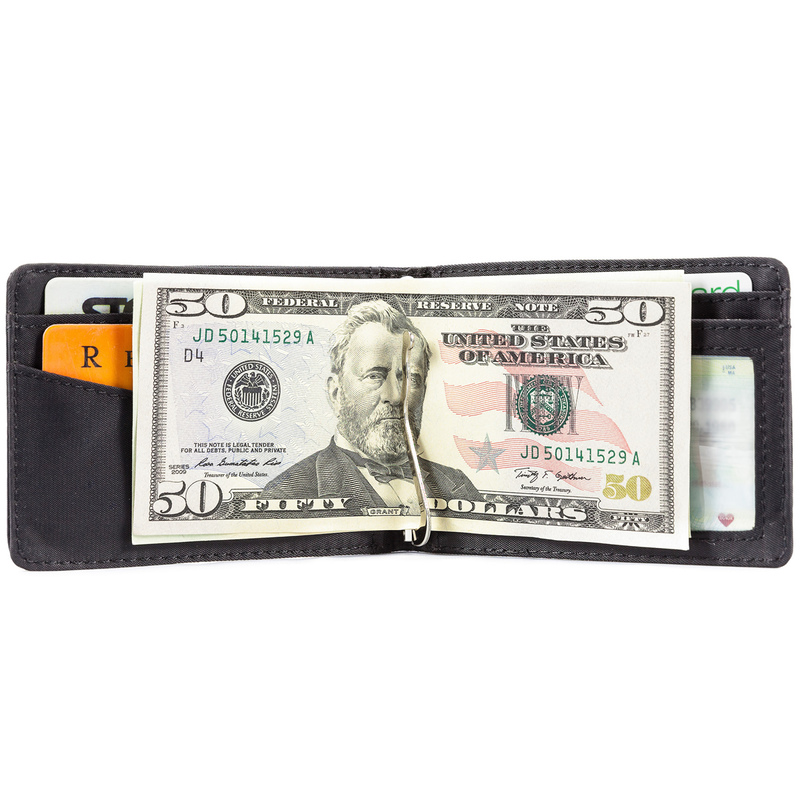 Best wallet I've ever owned. Haven't had it long, but so far I love it. Seems well made, has spots for all the stuff I need to put in it, and its thinner than the last wallet I had which didn't fold. 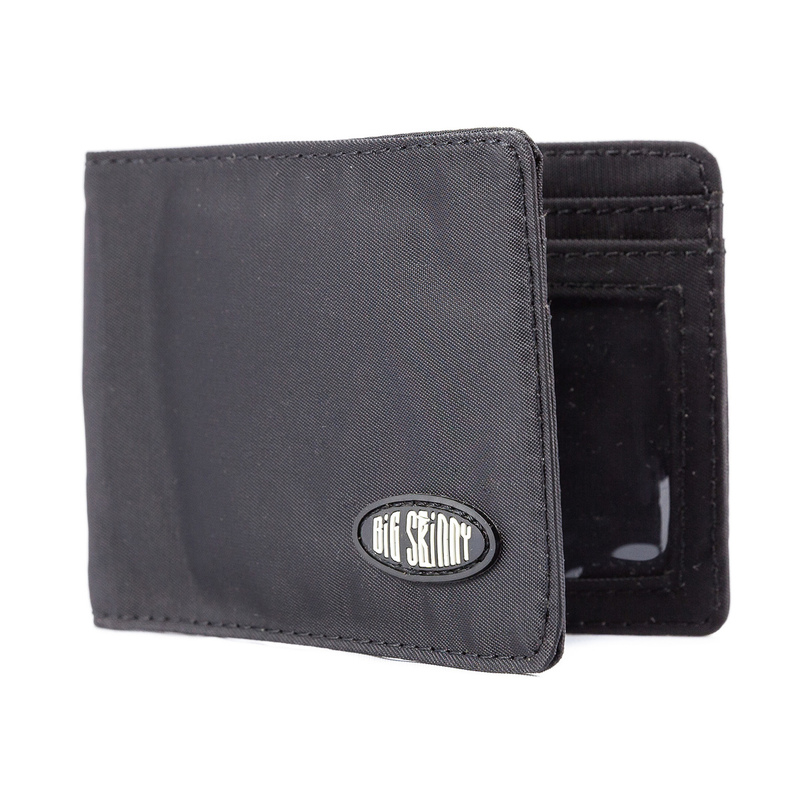 ConsI have no cash to put in the money clip. 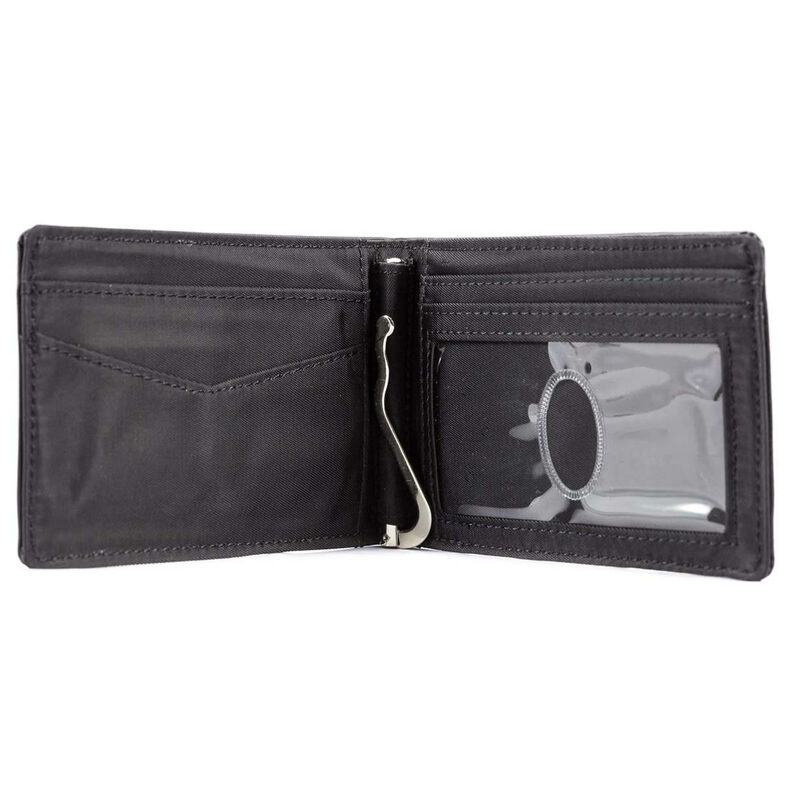 I ordered this wallet in July 2012 and it has been my EDC wallet since then. 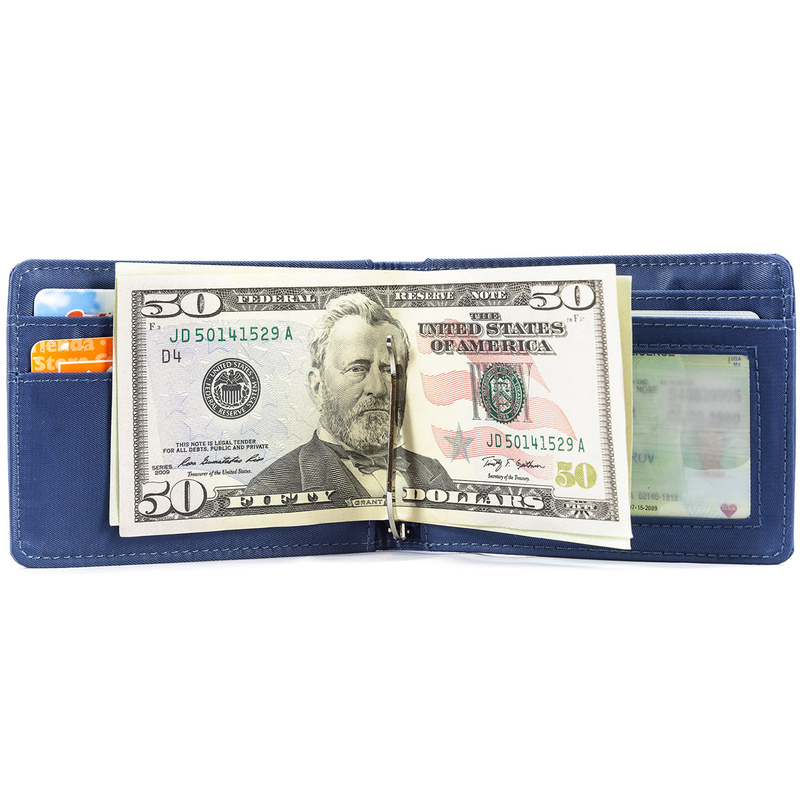 It has been around the world a half dozen times and has held a dozen or more different currencies. It's worn a little but is still very usable. Great build quality and longevity. Congratulations, Big Skinny. 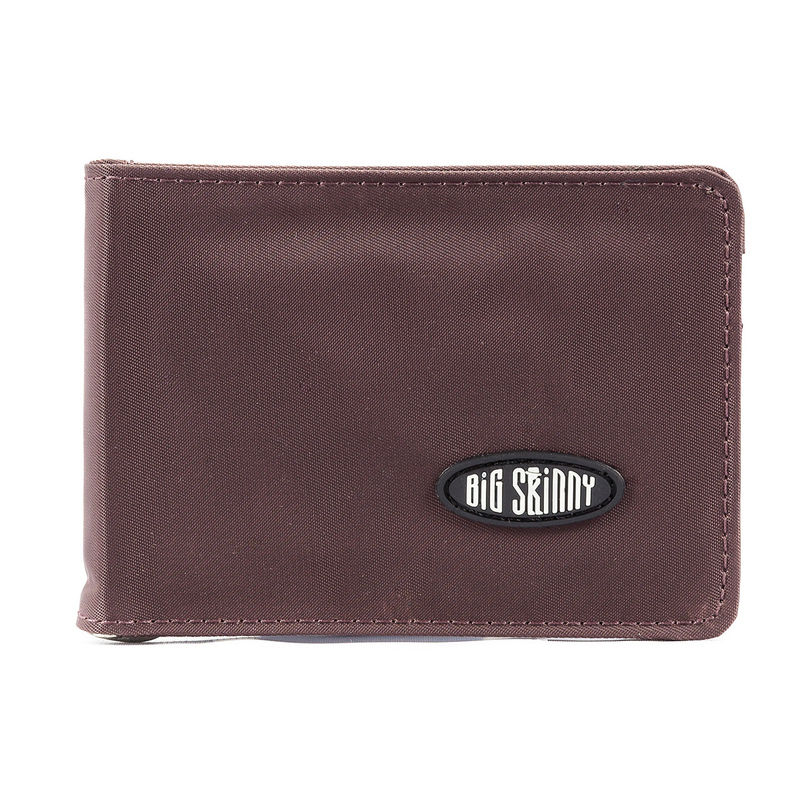 ConsBig Skinny seems to have discontinued this model. I hope mine never wears out. 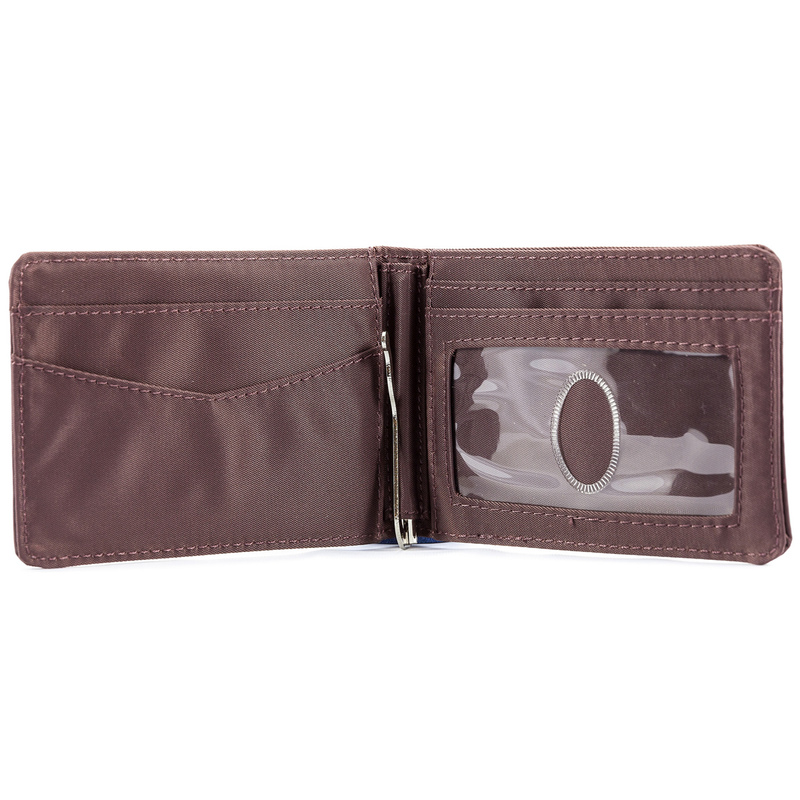 ConsHad two before this one and with both of them the money clip spring failed before the wallet was worn out.